In gold mountain stream reproduction center, we accept visit of citizen's all of you at any time. We provide equipment, and application is observed by this. As we reached capacity, we closed. It is this about held contents. Gold mountain stream reproduction center started driving as the eighth water reproduction center in Yokohama-shi in the water reproduction center built as part of the sewer maintenance plan based on Yokohama-shi international port city construction plan in October, 1979 (Showa 54). 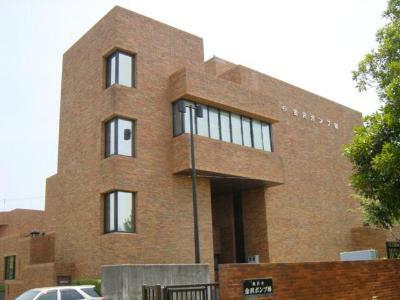 In addition, we unified the southern part sludge exploitation of resources center to be adjacent from April, 2009 and unified management and changed organization name to "the southern sewer center" from April 1, 2010. 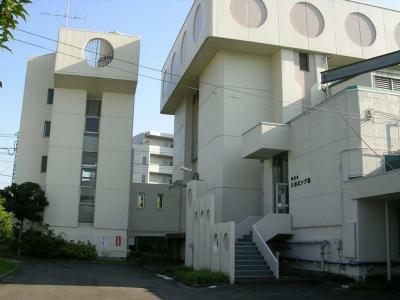 The arm of a river-type and junction-type sewer is adopted, and this processing ward is doing the whole area of Kanazawa Ward and Isogo Ward, a part of Konan Ward with processing ward. 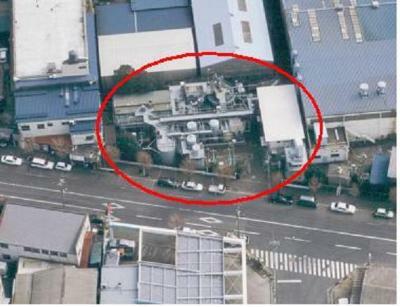 Filthy water flows into this water reproduction center directly via inflow or Kanazawa pumping station, and it is processed high quality by standard activated sludge method (we carry out high processing by the A2O method in some systems), and it is discharged into Tokyo Bay after the sterilization by Tomioka river. In the first, 2, series of 3 to water-treat, it processes altitude by aversion - anoxia - good mind law (the A2O method) for the purpose of the removal of nitrogen, phosphorus. There are facilities reusing processing water and uses as coolant of machine and lavation of the hall, heat source of air conditioner for main building. 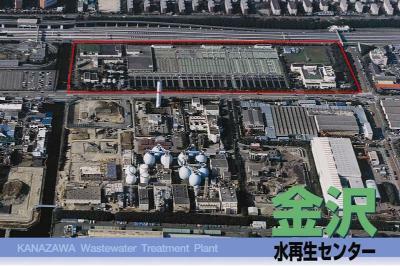 In addition, we supply the adjacent southern part sludge exploitation of resources center and Resources and Waste Recycling Bureau Kanazawa factory with water as trivial routine duties water. 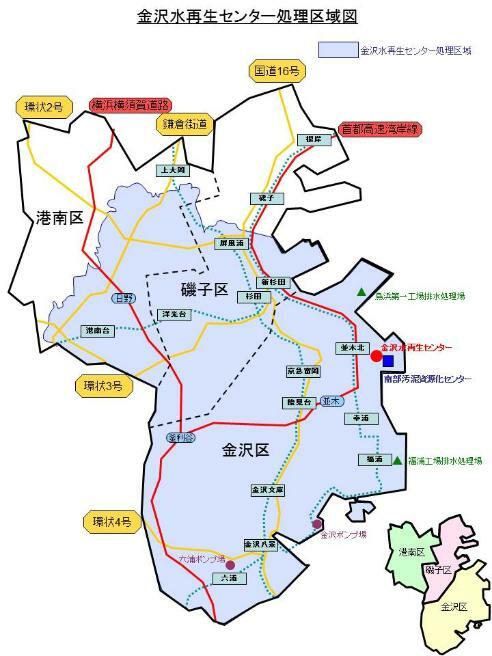 Jurisdiction facility includes Kanazawa pumping station (filthy water broadcast, rainwater drainage pumping station), Mutsuura pumping station (rainwater drainage pumping station). All perform driving, monitoring by distant place monitoring control unit from water reproduction center and plan labor saving. 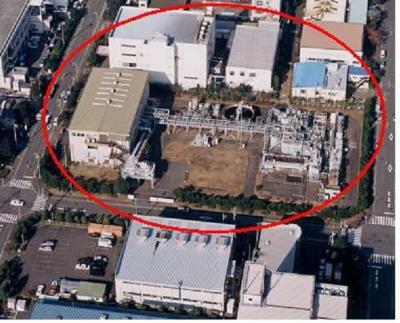 In Torihama district and Fukuura district, there are Torihama first factory effluent processing ground, Fukuura factory effluent processing ground as preprocessing facility for factory effluent for the purpose of antipollution measure in the city and processes plating pro-drainage from company to use jointly. 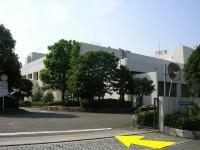 There is gold mountain stream reproduction center in place of a 5-minute walk from seaside line "Namikikita" station. 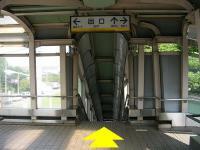 (1) You go out the wicket of seaside line "Namikikita" station, and please advance to the left. 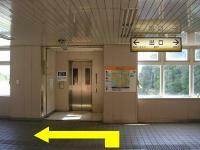 (2) Please go down stairs of "exit 2". 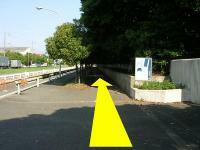 (3) Please advance straight to intersection if you go down stairs. 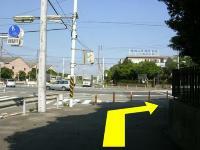 (4) At intersection of "1, Sachiura", please advance to the right. (5) We arrive at the front gate of gold mountain stream reproduction center when we advance for a while. Thank you. Office went up stairs; is on the second floor.